We at the Archaeological Institute of America (AIA), along with our colleagues at the American Anthropological Association and other learned societies, have taken a stand against open access. The story of Bartman’s opposition to the public dissemination of knowledge broke in mid-April and by the end of the month she had made a partial retraction on the AIA’s website following strong negative attention in the press. In her retraction, Bartman stated that she was “not against open access as a concept” but was “opposed to slated government legislation on the issue”. This was a direct reference to the Federal Research Public Access Act, currently working its way through US Congress. The bill would require that the results of any project funded by the US government be made open access after a fixed period of time. Believing that greater understanding of the past enhances our shared sense of humanity and enriches our existence, the AIA seeks to educate people of all ages about the significance of archaeological discovery. We fear that this legislation would prove damaging to the traditional venues in which scientific information is presented by offering, for no cost, something that has considerable costs associated with producing it. It would undermine, and ultimately dismantle, by offering for no charge, what subscribers actually support financially — a rigorous publication process that does serve the public, because it results in superior work. Publishing can certainly be expensive and it is not always possible to rely on donations or the taxpayer to pick up the bill. The fear of publishers and societies is that if they give away their journals for free then no one will pay to be a member. Taking this fear into consideration, the stance of the AIA against open access is logical: they are scared of losing their members and being forced to close down. However, when looking at the facts, this sympathetic reasoning starts to fall apart. The National Science Foundation, providing almost the only US government funds used for projects that appear in archaeology journals, supports roughly 50 archaeology projects a year. At best, no more than 55 projects in any given year would have to be made open access if the Federal Research Public Access Act were to be made law. 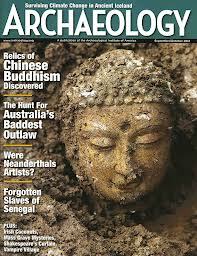 The AIA only publishes one periodical publication, the American Journal of Archaeology (AJA). There are over 250 English language periodical publications that specialise in archaeology. If one were to include journals in related subjects such as anthropology, history or classics, this number jumps into the thousands. Include cross-disciplinary publications, and the possible locations for one to publish research jump to tens of thousands of options. Fifty-five publications spread out over hundreds, thousands or possibly tens of thousands of journals — and one might speculate that, at most, every year the AIA would have to make one or two of their articles open access. The institute’s reference to the “considerable costs” involved in publishing is a questionable assertion. As pointed out by many open access advocates, the cost of starting and running a journal is quite low — some put the number at as little as $350 annually for a bare-bones operation relying on volunteers. This type of operation is not too different from how the AJA is currently run. All of the writing of the articles and research is done for free. The peer review process, which according to the AIA provides benefit to the public, is all done by volunteers. There is no reason why that should not continue. The AIA could even move to a print-on-demand system where those who want print copies can pay for them. This would significantly cut costs while allowing everyone to access the information. Looking at the facts, it would seem that the AIA may have overreacted. But, to return to my original question: why would the institute overreact to something that is likely to help them fulfil their mission “to educate people of all ages about the significance of archaeological discovery”? Why would the AIA, or any other scholarly or disciplinary society, come out against the idea that the public should have access to the research they paid for? One possible explanation is that many scholarly societies, for all their rhetoric and not-for-profit status, are actually knowledge cartels — controlling the supply of information in their field and profiting from restricting access. They have neglected their original scholarly purpose of disseminating knowledge to all and now dedicate a significant proportion of their resources to publishing which also makes up the vast majority of its costs and “profits”. Its 990 tax form shows that in 2011 it spent $350,281 on its journal and $373,818 on its societies and national lecture programme. In addition to the journal, the AIA also publishes a magazine, which is available on newsstands. It was responsible for $3,803,635 of costs and $4,299,630 of revenue. to support six-figure salaries and perks. Open access: an attack on publishers’ business models? attached to their publications, called a membership. Open access is a direct attack on the business models of these societies. While mandated open access may not directly hurt societies, by forcing them to make some of their articles freely available it will become a competitor and one that they will be hard pressed to beat. It will have all the benefits of their own publications, peer review, volunteer work, but people will be able to access it for free. Whether it is right or wrong for scholarly societies to operate as knowledge cartels may be a matter of moral opinion. Some might say that they are not following their mission statements and should be stripped of their not-for-profit/charity status. Others would argue that while they may not benefit society as a whole, they do provide a service to their members. What is clear is that there is a vested interest in controlling the flow of information.